Great pick. 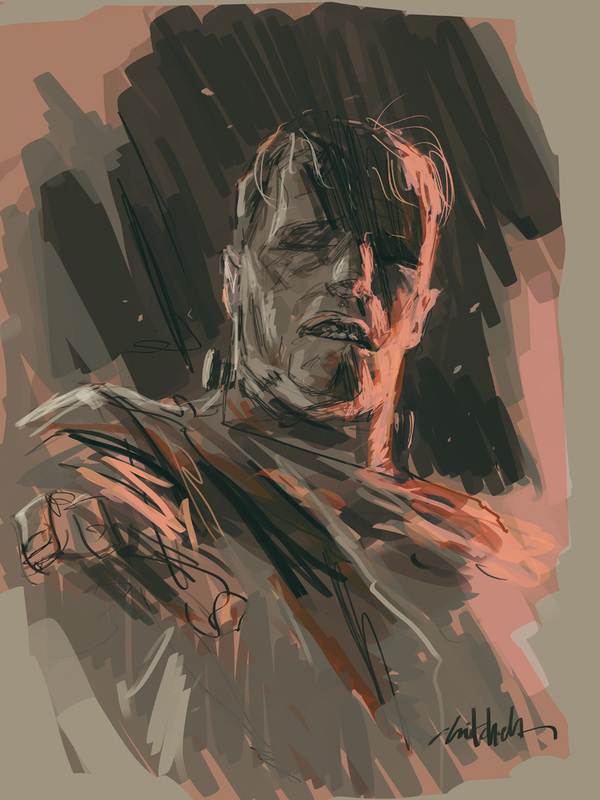 Wish I had time to do a whole scene, but alas, all I can twart is this paint sketch. Nice upshot, Mitch! Great lighting too.